In March 2009, as Dodger Stadium opened its doors to the world for the semi-finals and finals of the World Baseball Classic, the belief that baseball is truly a global sport was never more evident. Problem: How do you generate buzz for an upcoming season? Solution: Use out of home to reach niche markets and remind them why they love their home team. 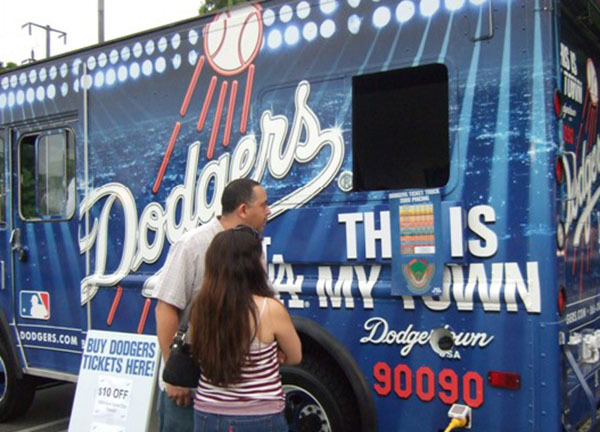 The experience resonated with the Dodgers Marketing Department and encouraged them to reconsider their target audience. There was potentially a new market: more than just cheer for their favorite players, there were fans looking for a chance to cheer for their country. The objective was to find a way to embrace the myriad of cultures and communities that comprise the nearly 10 million residents of Los Angeles County and invite them to experience Dodger baseball. Given the numerous niche audiences in the greater Los Angeles area, as well as the national and international fan base, marketing efforts needed to embrace the wide variety of fans, and an understanding both their support of the Dodgers and their interests away from the ball park. The primary objective for the Out-of-Home campaign was to generate buzz within the marketplace for the upcoming season and create excitement among fans of all ages, races and genders with both the players and Hollywood celebrities. 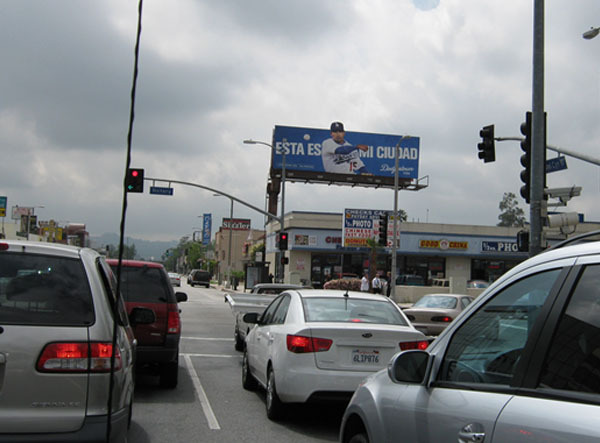 The marketing team built an integrated campaign with a strong Out-of-Home presence in the Los Angeles market that showcased the diversity of the Dodgers fan base both in the general market and the Hispanic market, as over 43 percent of Dodger fans are Hispanic. 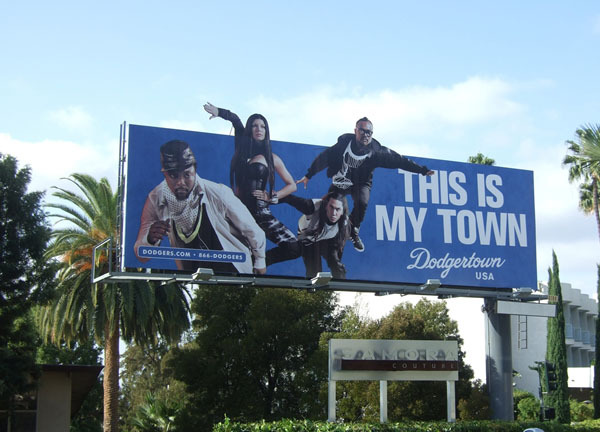 The campaign allowed the Dodgers marketing team to pull in personalities from the sports world, as well as entertainment and music, demonstrating an understanding of the fans’ complete lifestyle, not just their Dodger fandom. The first phase of the campaign would depict the Dodgers roster, while phase two introduced celebrities. 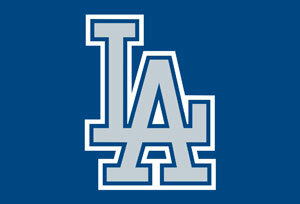 The Dodgers received over 200 million impressions from the actual media exposure and the press the campaign generated. The Dodgers also led the MLB in attendance with over 3.8 Million fans attending Dodger games in 2009. The Dodgers are currently leading attendance for the second consecutive year in 2010. The campaign has been extremely popular with the fan base and the Dodgers have incorporated both online and in stadium applications where fans can put themselves into the campaign and make their own billboard. PRIME TICKET, the television rights holder for the Dodgers, incorporated the Mini Player Billboards into their pre- and post-game shows.